The Dino-Lite Pro AM4113T is a popular model in the Dino-Lite Pro range. The 1.3M pixel image sensor provides excellent full screen resolution, improved colour rendering and low light performance. The AM4113T is a standard working distance model with magnification between 10x-70x & 200x making it ideal for general use. Advanced software features with measurement functions and the MicroTouch snapshot function also feature as standard on the Dino-Lite Pro AM4113T. Other features included a 2nd-generation housing with smoother focus wheel movement, magnification scroll lock and reinforced USB connection that resists twists and pulls. The magnification lock is particularly useful for repetitive inspection at a given level of magnification. This Dino-Lite USB microscope includes software for PC (DinoCapture) & Mac (DinoXcope). The software is robust and easy to use with extensive features allowing: image capture, storage and email, live and time lapse video (up to 30fps), measurement with calibration, annotation, geotagging, full screen capability, auto and manual exposure control, picture within picture zoom (magnifier) and much more. Dino-Lite offer a broad range of stands, lighting and control accessories. A stand is recommended for all but the lowest magnification levels. We have selected some of the more popular stands and optional items for this microscope which can be found on the Related Accessories tab above. Hand-held USB digital microscopes provide a powerful and portable solution to microscopic inspection for applications like industrial quality control, medical & life sciences, forensics, science & education, art restoration and many other fields both at work and for hobbies at home. At PeplerOptics we specialise in optical instruments for inspection and have carefully selected a range of digital microscopes to suit all budgets without compromising on image quality. We will gladly provide advice to help you select the best digital microscope for your application. Dino-Lite is the original inventor of the small hand-held USB digital microscope, and now the Taiwanese manufacturer produces over 150 models which are packed with functionality and state-of-the-art technology for microscopic inspection at up to 900x magnification. Priced between £100 and £1000, there is a model to suit every application from industrial customers to conservationists and to the discerning hobbyist. 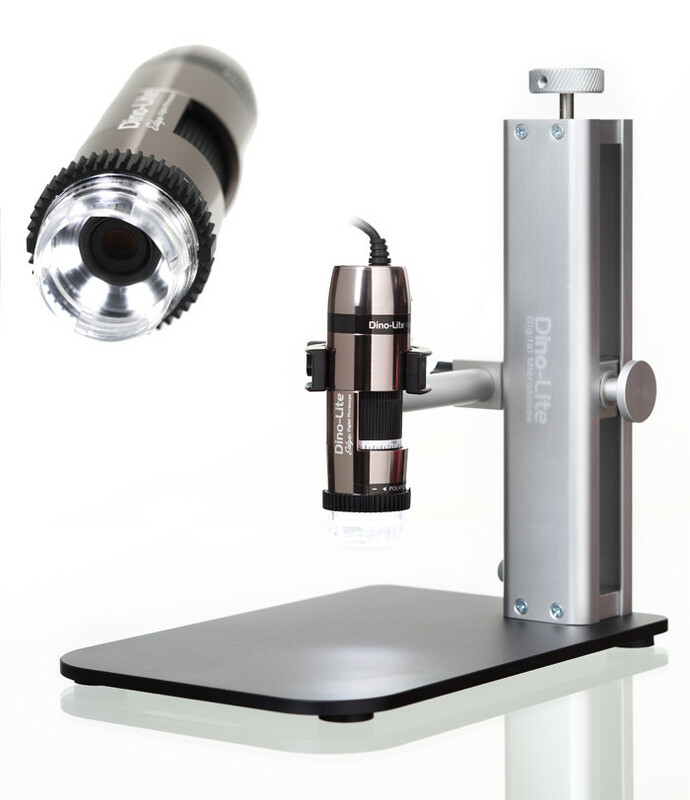 Dino-Lite digital microscopes are the first choice for those prepared to invest in a premier model.